BOOOO! 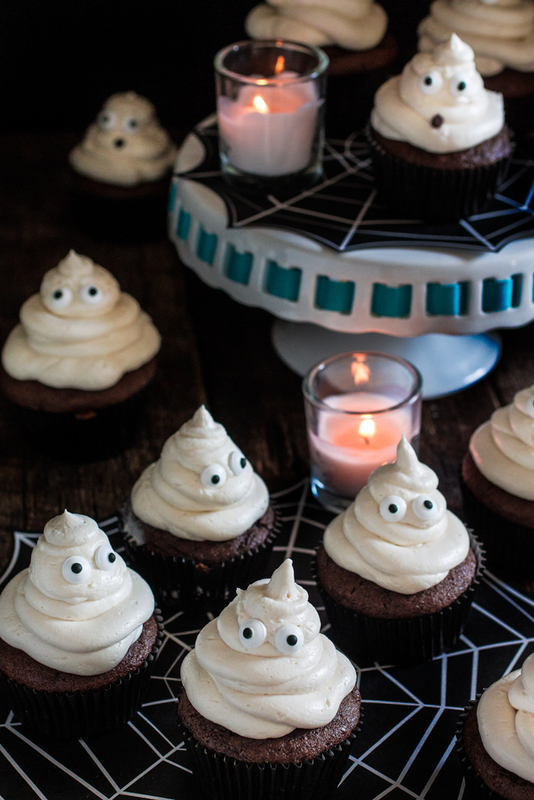 We all have a sweet tooth that has been haunting us all year. 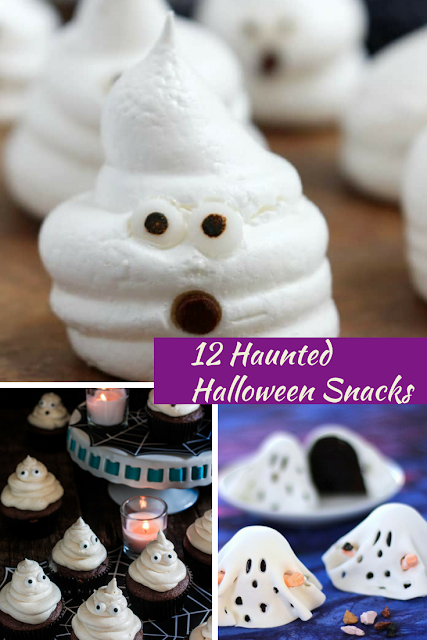 It's finally time for your favorite eerie Halloween snacks and chilling Halloween treats to get each of us ready for a spooky-good holiday. 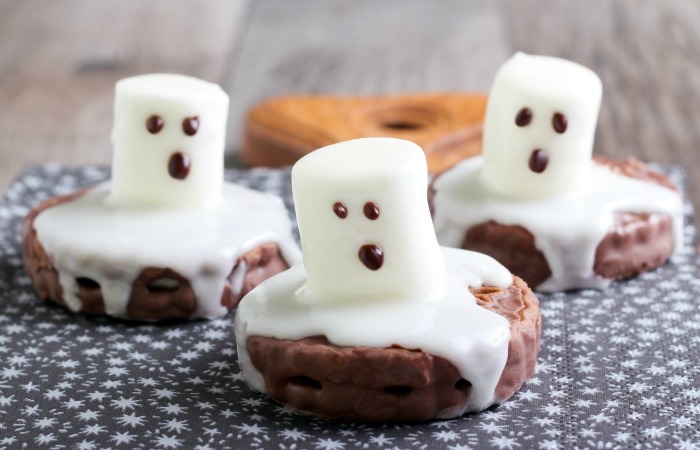 From classroom favorites to magical family desserts, these easy homemade snacks are sure to get you in the holiday spirit. 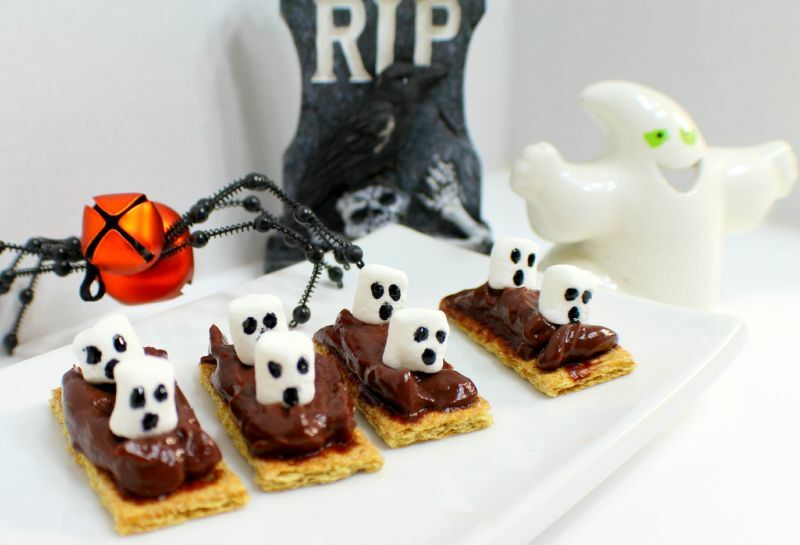 We’ve gathered 12 easy, Haunted Halloween Snacks for kids that won’t take the whole day to make. 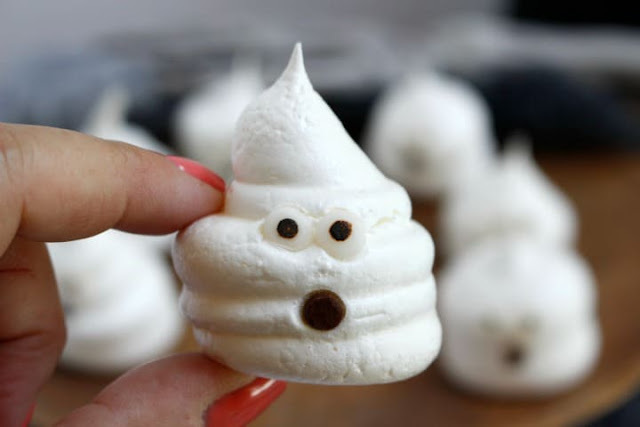 Are you looking for a Quick and Quirky Sweet Treat for Halloween? 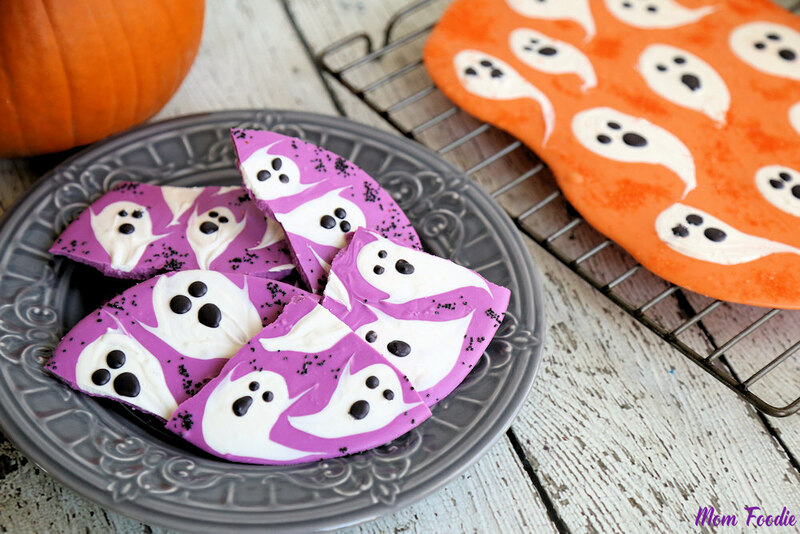 These Sweet Ghost Crisps are the perfect treats to make…they’re so easy and can be served with anything! These little Yogurt Banana Ghost Pops are sure to scare you little ones into eating them quickly! 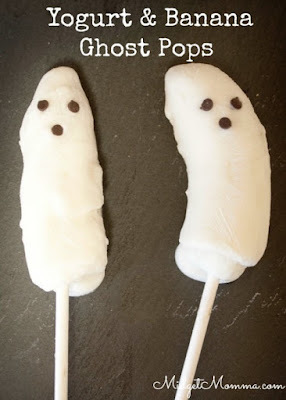 If you have any small mouths eating them you can cut them in half so they can eat the Yogurt Banana Ghost Pops easier. These boo-lishious Meringue Ghosts will delight your trick or treaters. 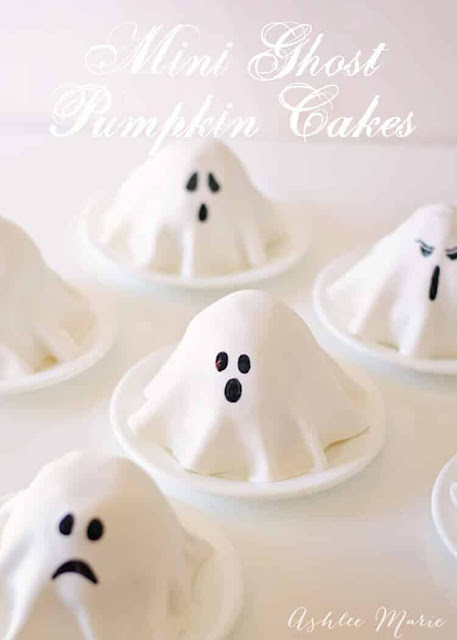 They are the perfect dessert for your Halloween parties or a fun Halloween project to make with the kids. 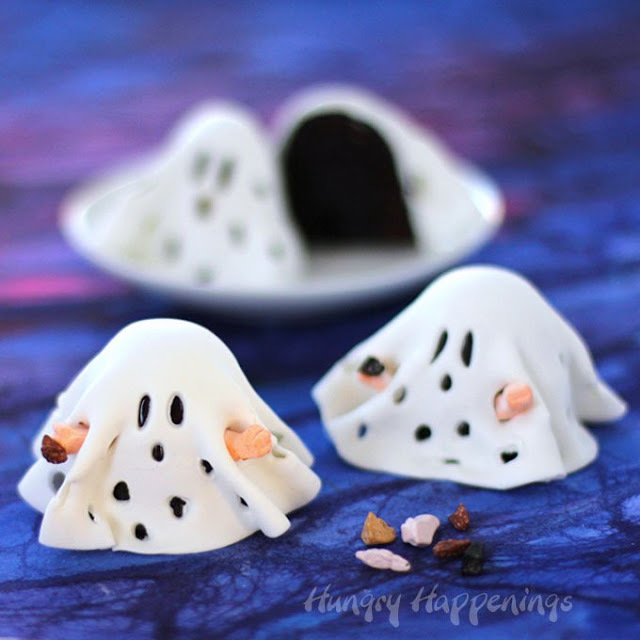 Easy Melted Ghost Cookies, they're cute (as you can clearly see in the picture), but they’re also really yummy (which you cannot actually see in the picture). These Ghost Halloween Cupcakes are not only spooky, but they are so moist and chocolate-y that they will be the highlight of your Halloween celebrations! 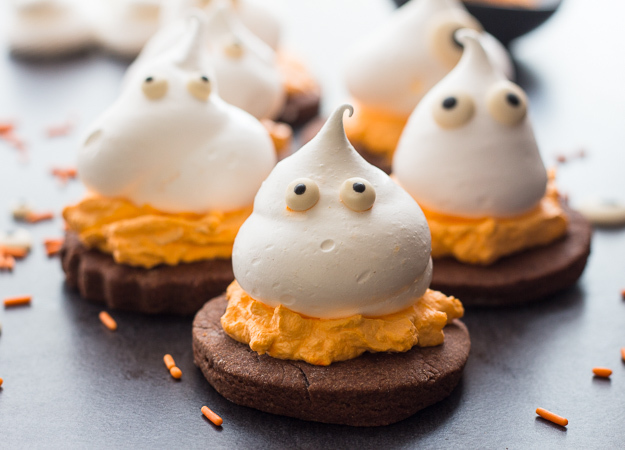 Meringue Ghost Chocolate Sugar Cookies may take a little baking time but they’ll be the talk of the party once they’re served! 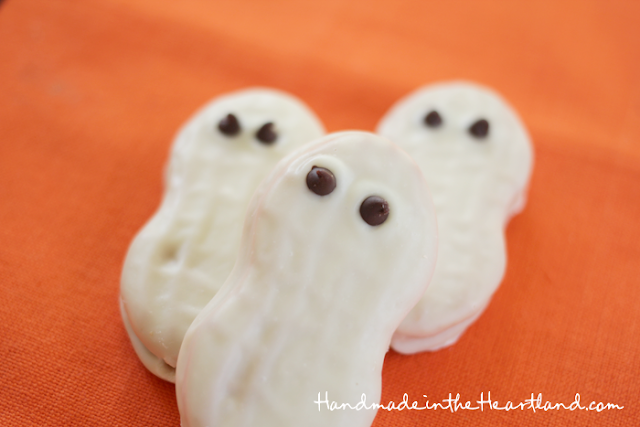 These nutter butter ghost cookies couldn’t be more simple to make, your kids will love helping you! 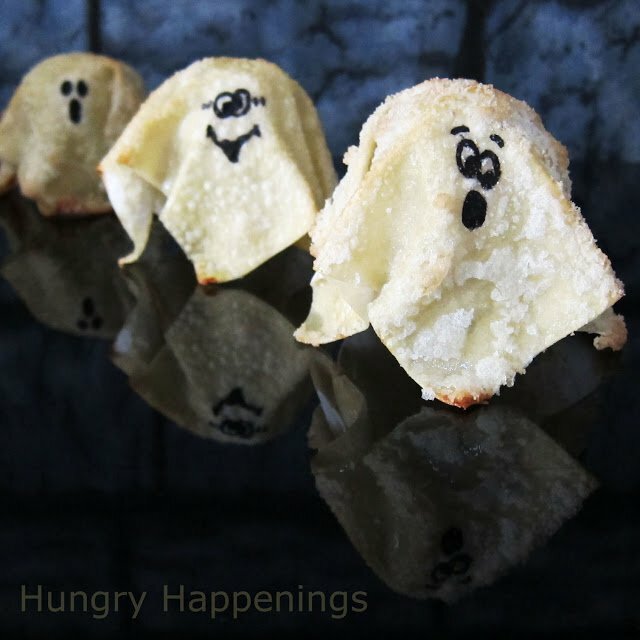 Easy Halloween Snack called Ghosts on a Boat. It’s simple to make and so yummy, everyone will ask for more! 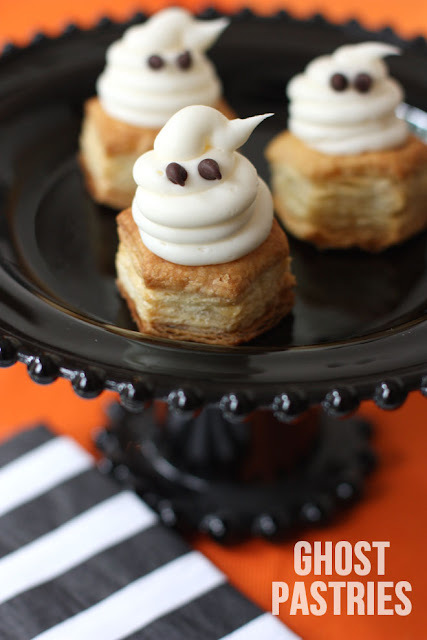 MINI GHOST PASTRIES WITH A SWEET SURPRISE! Wishing you all sweet dishes with a few surprises and a Happy Holloween! As always, keep it southern Y'all!